← I’ve Got Some Hutch Mates! I moved into my new home today! 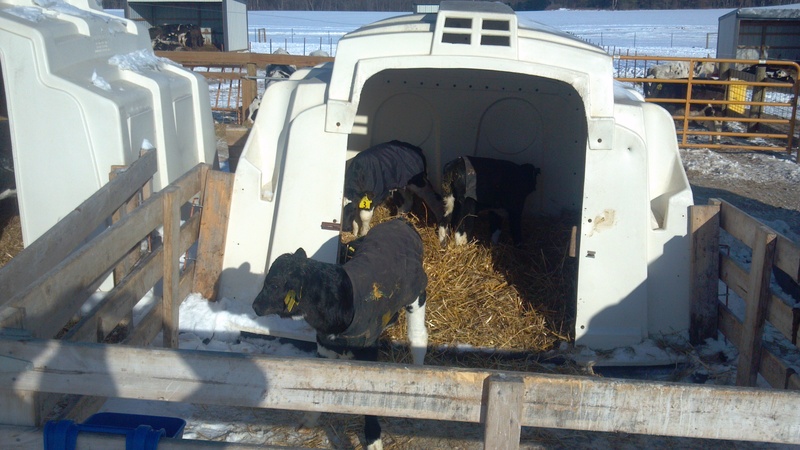 Me and three other calves moved into a clean hutch today. 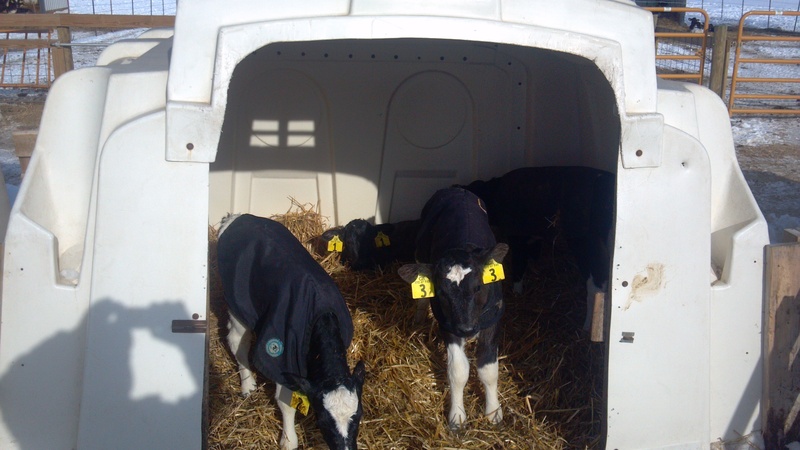 It has deep straw bedding to help keep us warm, dry, and clean. We also have a corral in front of our hutch, and access to grain and water all of the time! The grain helps my rumen develop, which I will need so that I can digest food other then milk. Me and the son weren’t cooperating very good to get a good picture, but I am in the back laying down, enjoying my cozy wheat straw bed. Us calves aren’t real good at posing for pictures, but here i am checking out the coral in front of my hutch. This will be my home for the next 6-8 weeks. Someone on Facebook proposed the name “First Lady.” What do you all think, does it fit me? Don’t forget, if you click on the category “Calf #1” on the right hand side of the page, you can see all of the stories about me so far! This entry was posted in Animals, Calf #1, General Information and tagged agriculture, agricuture, agronomy, Animals, baby animals, calf #1, cows, dairy cows, dairy farm, dairy farming, dairy farming today, factory farming, family farm, family farming, farm, farm animals, farmer, farmers, farming, food production, Modern Agricuture, modern farming, organic farming, production agriculture, sustainable agriculture, sustainable agricuture, Wisconsin dairy farming. Bookmark the permalink. 1 Response to My New Home. First Lady seems very appropriate!